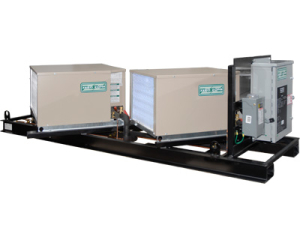 Condensing Unit Skids - Commercial Refrigeration | Zero Zone Condensing Unit Skids – Zero Zone, Inc. 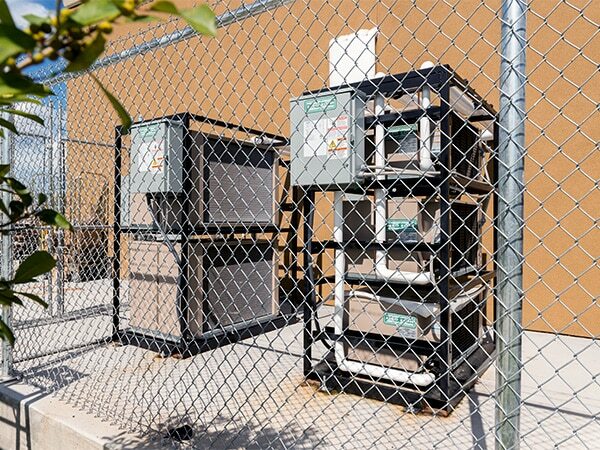 Zero Zone Refrigeration Condensing Unit Skids are the ideal size commercial refrigeration system for many smaller stores, including drug stores, dollar stores, convenience stores, and general merchandise stores to refrigerate their remote cases and walk-ins. 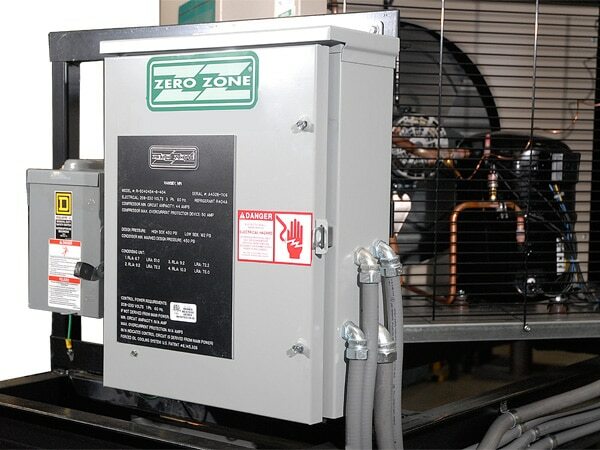 Zero Zone has over 20 years of experience providing this economical solution to retailers who appreciate the compact size of the equipment, the ease of installation, and the overall value of this approach. 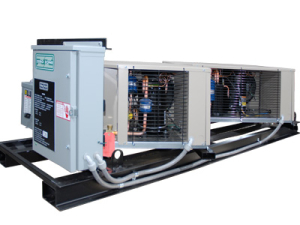 Zero Zone Refrigeration Condensing Unit Skids might be the best solution for your cooling requirements. 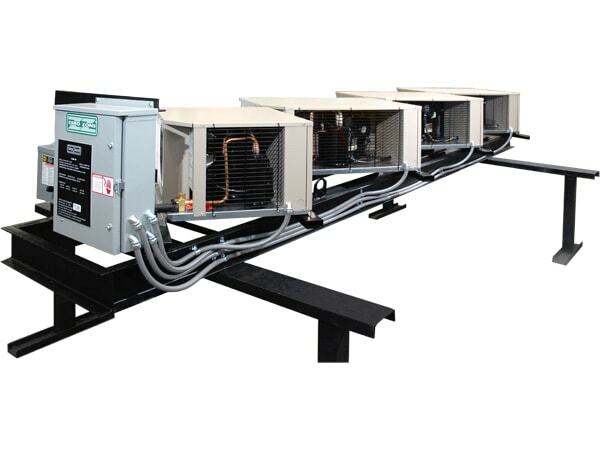 Built with the structural integrity you would expect from any Zero Zone Refrigeration System, retailers have the ability to customize their skid’s design to meet their needs. 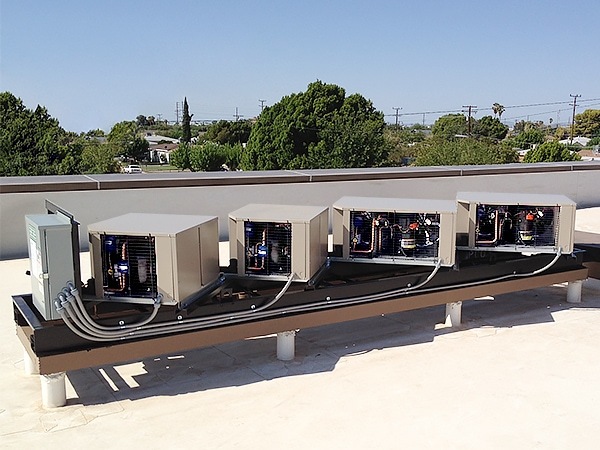 We offer a variety of configurations, including horizontal, vertical, stackable, and multiple unit sizes dependent on load requirements and applications.